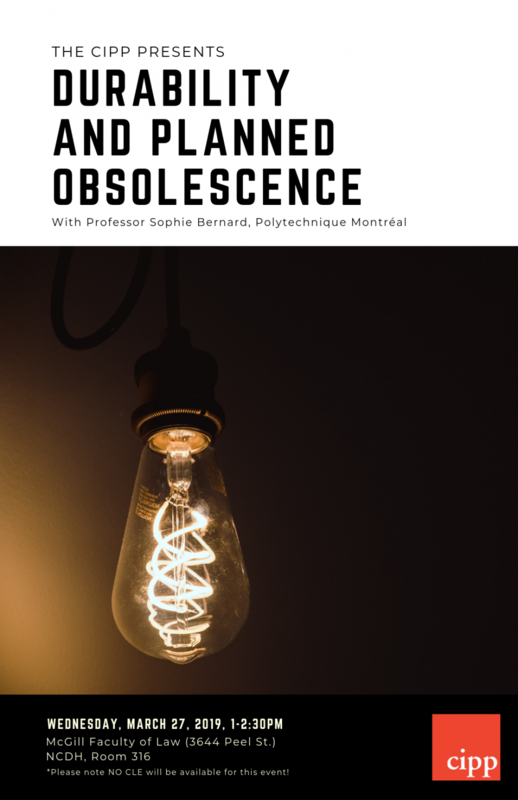 Le CIPP invite ses membres à un séminaire de recherche sur l’obsolescence avec notre invitée de marque, la professeure Sophie Bernard (Polytechnique Montréal), spécialiste en économie de l’environnement et des ressources naturelles. Ce séminaire s’inscrit dans le cadre d’un projet de recherche mené au Centre des politiques de propriété intellectuelle de McGill par le professeur Pierre-Emmanuel Moyse. Cette recherche est menée grâce à une subvention Savoir du Conseil de recherches en sciences humaines, remportée en 2018. Obsolescence is premature breakdown of an object, the end of its life cycle, its condemnation to waste. Many recent events might explain the sudden interest for obsolescence. The admissions of Apple concerning the tempering with the operating system which caused a certain generation of iPhones to turn off unexpectedly and the plethora of law suits and condemnations that ensued is certainly one of them. The concern about the disposal and recycling of waste is another. Its attraction resides perhaps also in our own death. Since we come to realize that we have created the world to our image, our defiance to obsolescence has its roots in our natural propensity to seek immortality. Obsolescence, especially when it is programmed, is perceived as wrong and must be fought. France has recently amended its Code de la consommation(Consumer Code) to make it a crime. Section L. 213-4-1 of the Code reads as follows (our translation) :“Programmed obsolescence means all techniques used by a person responsible for the commercialization aims to deliberately reduce the life of a product to increase its replacement rate. According to the same text programmed obsolescence is punishable by two years’ imprisonment and a fine of € 300,000. What is interesting in the French definition is the almost subliminal reference, also it seems to rebut it, to the idea first develop by the Bernard London in his 1932 pamphlet “Ending the Depression Through Planned Obsolescence”. First witness of the magnitude of the economic crisis, London proposed to artificially boost the economy by reducing the life of consumable goods. The idea seems naïve and may amuse the reader, especially when London scolds owners and users, “People everywhere are today disobeying the law of obsolescence. They are using their old cars, their old tires, their old radios and their old clothing much longer than statisticians had expected on the basis of earlier experience” (P.-E. Moyse, Obsolescence by Design, forthcoming). 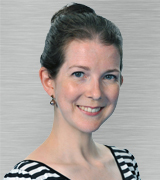 This content has been updated on March 20, 2019 at 16:32.